Happy Child At The Computer. Description: Happy child at the computer. 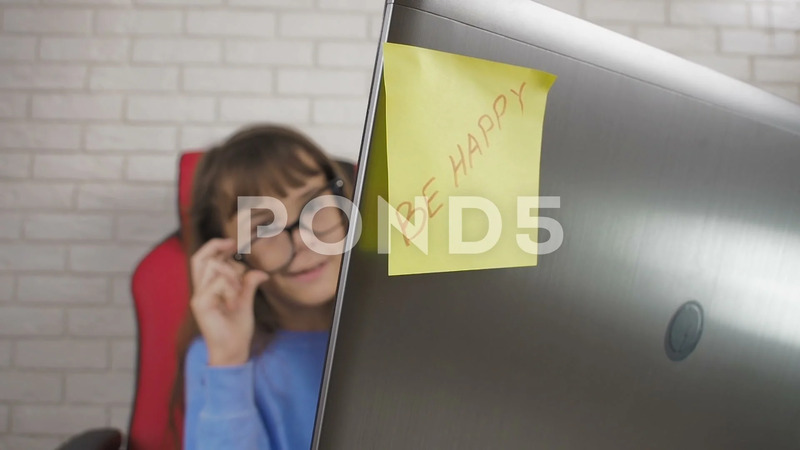 Cheerful little girl in glasses behind a laptop.